OKLAHOMA CITY – Connie Schlittler has been named executive director of OKC Metro Alliance Inc.
Schlittler was an officer and program director at the Oklahoma Department of Human Services. She has also worked in substance abuse treatment and mental health services, including being a mental health center director with the Oklahoma Department of Mental Health and Substance Abuse Services. 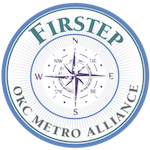 OKC Metro Alliance provides alternatives to incarceration for individuals with substance abuse and addiction through the Public Inebriate Alternative and Firstep residential recovery program. The program is funded primarily through partnerships with community employers, the city of Oklahoma City and private foundations and donors.